Donetsk is the administrative centre of the Donetsk region. For a large industrial town, Donetsk is especially beautiful and very green. It is made up of 9 districts which are linked together by tram, trolley and bus routes. It also has well developed air and railway services. It was founded in 1689 by English technician-metallurgist J.J.Hughes who built the smithy that became the first production line of future metallurgical plant. Donetsk was known as Hughsofka till 1924 and Stalino till 1961. It was given the status of city in 1917 and became the capital of the Donetsk region in 1932. 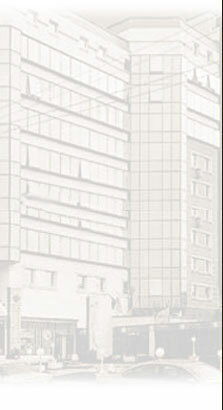 Donetsk is a major industrial, scientific and cultural centre with a population of 1132700 today. There are 3 theatres,a Philharmonic Hall, a planetarium, 29 museums and 500 libraries in the city. Donetsk has become one of the most beautiful Ukrainian cities. Rialto **** 120 160 145,Tkachenko str., Donetsk 45590. THIS PROGRAM IS THE SOLE PROPERTY OF DONETSK HOTELS AND MAY NOT BE COPIED IN ANY WAY OR FORM WITHOUT EXPRESS PERMISSION FROM DONETSK HOTELS.